MatTek’s advanced 3D in vitro co-culture skin model incorporates human melanocytes into a well differentiated epidermal tissue. Evaluate novel skin lightening agents in vitro with the leading pigmented skin model. Ideal for the assessment of skin lightening agents and formulations, MelanoDerm is used by cosmetic scientists worldwide. Reduce the time and costs associated with clinical testing by screening compounds and formulations in MatTek’s MelanoDerm 3D tissue model. MatTek’s MelanoDerm System consists of normal, human-derived epidermal keratinocytes (NHEK) and melanocytes (NHM) cultured to form a multilayered, highly differentiated model of the human epidermis. The NHM within co-cultures undergo melanogenesis leading to tissue pigmentation. MelanoDerm is produced using serum free medium without artificial stimulators of melanogenesis such as TPA and IBMX. The cultures are grown on tissue culture inserts at the air-liquid interface, allowing for topical application of skin lighteners or self-tanning agents. MelanoDerm provides a useful in vitro means to evaluate cosmetic and pharmaceutical agents designed to modulate skin pigmentation. MelanoDerm exhibits in vivo-like morphological and ultrastructural characteristics which are uniform and highly reproducible. NHM localized in the basal cell layer of MelanoDerm are dendritic and spontaneously produce melanin granules which progressively populate the layers of tissue. When cultured for up to 3 weeks, MelanoDerm tissues become increasingly pigmented with retention of normal epithelial morphology. Tissues containing NHM derived from black donors show increased pigmentation versus those containing Caucasian-derived or Asian-derived NHM; all three types of cultures are distinctly darker than NHM-free tissues (EpiDermTM). The topical application of known inhibitors of melanogenesis significantly reduce melanin production and macroscopic darkening. Conversely, NHM within the tissue will respond to known stimulants of melanogenesis, such as α-melanocyte stimulating hormone and β-fibroblast growth factor, to produce tissues which darken faster than untreated controls. MelanoDerm’s straightforward assays has been incorporated as an integral testing strategy in laboratories for nearly 20 years. With dozens of technical references available, this growing body of data demonstrates that MelanoDerm provides an inexpensive and effective means of assessing skin pigmentation while avoiding species extrapolation and the use of laboratory animals. MelanoDerm provides an inexpensive and effective means of assessing skin pigmentation while avoiding species extrapolation and the use of laboratory animals. Simple protocols and the evaluation of early cellular endpoints allow scientists to acquire data in days, not weeks or months. 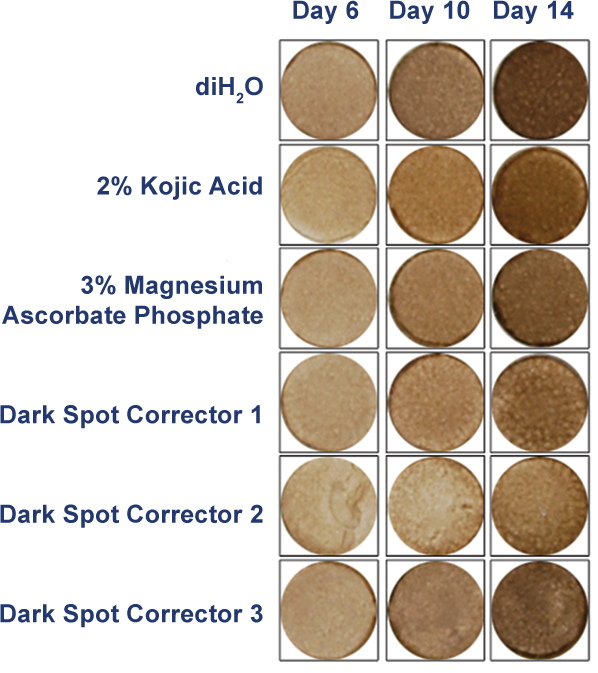 A quantitative assay to determine melanin content in the tissue is performed using the SOLVABLE™ melanin assay. This assay can be used to test the skin lightening efficacy of final cosmetic formulations. MelanoDerm has been used to study the physiological mechanisms of skin pigmentation. Search our library of technical references for more information. 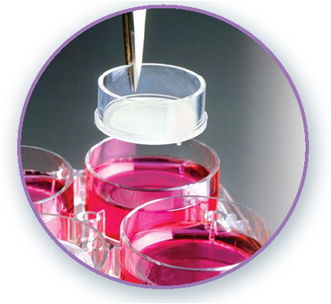 Substrate: Chemically modified, collagen-coated, 9 mm ID single well tissue culture plate inserts are used (e.g. Millicell CM or Nunc polycarbonate single well tissue culture plate inserts). Culture: At air liquid interface. Seeding ratio: NHM:NHEK = 1/10. Ratio of 1/30 available upon request. Histology: 8-12 cell layers (basal, spinous, and granular layers). Stratum Corneum: 10-15 layers (based on TEM). Lot Numbers: Tissue lots produced by each technician for each week are assigned a specific lot number. Typically, there are multiple lot numbers for any given week’s tissue production. A letter of the alphabet is appended to the end of the lot number to differentiate between individual kits within a given lot of tissues. All tissue kits within a lot are identical in regards to cells, medium, handling, culture conditions, etc. Shipment: At 4°C on medium-supplemented, agarose gels in 24-well plate. Shipment day: Every Monday. Shipment on Thursday also available upon special request. Delivery: Tuesday morning via FedEx priority service (US). Outside US: Tuesday-Wednesday depending on location. Shelf life: Including time in transit, tissues may be stored at 4°C for up to 6 days prior to use. However, extended storage periods are not recommended unless necessary. In addition, the best reproducibility will be obtained if tissues are used consistently on the same day, e.g. Tuesday afternoon or following overnight storage at 4°C (Wednesday morning). Length of experiments: Cultures can be continued for at least 2 weeks with good retention of normal epidermal morphology. Cultures must be fed every other day with 5.0 ml of either New Maintenance Medium (NMM) or NMM-113. Cell culture inserts are placed atop culture stands (MEL-STND; see photo below) or washers (EPI-WSHR) in 6-well plates to allow use of 5.0 ml. MEL-300-EACH: Same as MEL-300 except only 1 tissue, not 24 tissues. MEL-300-B-FRZN-EA: MEL-300-B tissue that has been subjected to 3 freeze/thaw cycles. Designed to serve as control for melanin assay. MEL-312 (-A, -B, -C): Identical to MEL-300 (-A, -B, -C) except 12 tissues per kit instead of 24. MEL-606 (-A, -B, -C): Same as MEL-300 (-A, -B, -C) except 6 tissues per kit, each tissue cultured in a larger diameter cell culture insert (ID = 22 mm). MEL-300-FT (-A, -B, -C): Full-thickness human skin tissue model composed of fibroblast-containing collagen matrix (dermis); normal human epidermal keratinocytes and normal human melanocytes (epidermis). 24 tissues per kit. Types: a) Normal human epidermal keratinocytes (NHEK); b) Normal human melanocytes (NHM). 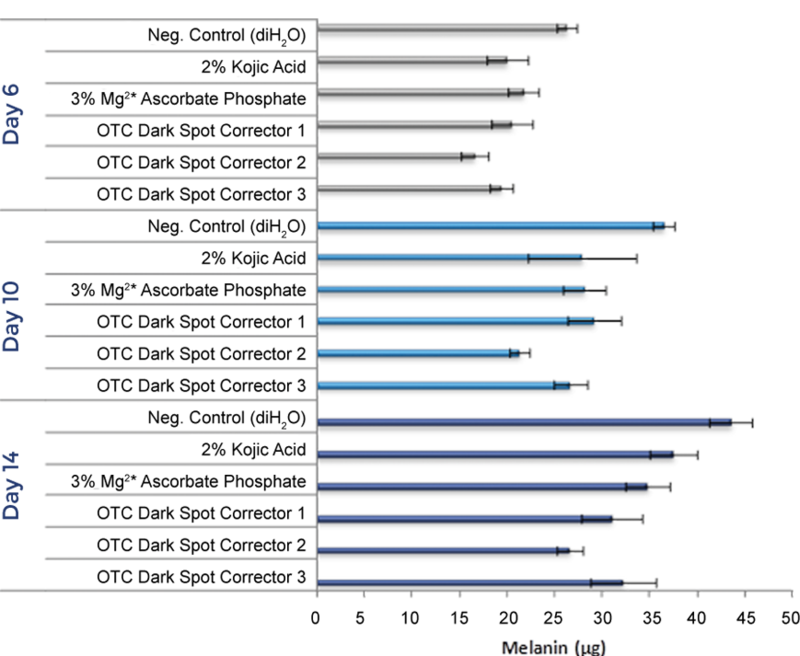 Genetic make-up: NHEK and NHM are from individual, but different donors. Tissue containing matched NHEK and NHM are available upon special request. Ethnic origin: MelanoDerm containing NHM from Caucasian (MEL-300-C), Black (MEL-300-B), and Asian (MEL-300-A) donors are available. Alternatives: A limited number of strains of NHEK & NHM from adult breast tissue. Screened for: HIV, Hepatitis B, and Hepatitis C.
Base medium: Dulbecco’s Modified Eagle’s Medium (DMEM). Growth factors/hormones: Epidermal growth factor, insulin, hydrocortisone, and other proprietary stimulators of epidermal differentiation. Antibiotics: Gentamicin 5 µg/ml (10% of normal gentamicin level). Anti-fungal agent: Amphotericin B 0.25 µg/ml. Other additives: Lipid precursors used to enhance epidermal barrier formation (proprietary). Alternatives: Phenol red-free (MEL-300-B-PRF), antibiotic-free (MEL-300-B-ABF), anti-fungal-free (MEL-300-B-AFF), and hydrocortisone-free medium and tissue (MEL-300-B-HCF) are available. Agents are removed at least 3 days prior to shipment. For long term experiments in which pigmentation and histology are important, the use of EPI-100-NMM, EPI-100-NMM-113, or EPI-100-LLMM is recommended. EPI-100-NMM (New Maintenance Medium) contains KGF which preserves histology, but does not contain any factors that directly promote pigmentation. 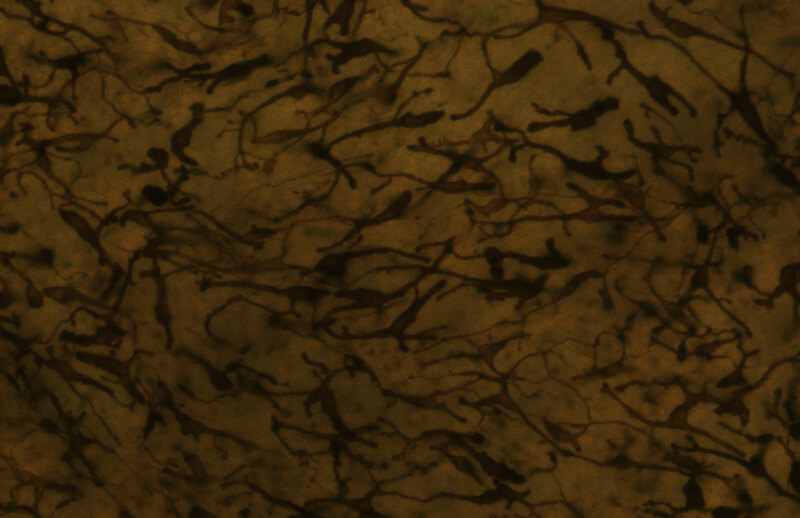 EPI-100-NMM-113 contains KGF, β-FGF, and α-MSH and promotes pigmentation as well as retention of histology. Long life maintenance medium, EPI-100-LLMM, contains α-MSH and β-FGF, but not KGF. Tissues will darken most rapidly in LLMM, less rapidly in NMM-113, and least rapidly in NMM. The best retention of histology will be obtained when NMM or NMM-113 is used, and the cultures are fed 5.0 ml of media every 48 hr. The 4th medium, EPI-100-MM, is a basal medium and that can be used for short term toxicological testing. It does not contain any factors that promote pigmentation. EPI-100-MM should not be used for experiments in which tissue histology is an important endpoint. Visual inspection: All tissues are visually inspected and if physical imperfections are noted, tissues are rejected for shipment. Select tissues are examined microscopically to insure that melanocytes are visible (for MEL-300-B and MEL-300-A tissues) and that they are evenly distributed throughout the tissue. End-use testing: Tissues are continued in EPI-100-LLMM to insure that macroscopic darkening of tissues occurs. Tissues are exposed to 1% Triton X-100 for 5 hrs. The viability at 5 hrs must exceed 45% as determined by the MTT assay (See MatTek EpiDerm™ ET-50 protocol) for each lot of tissue. Sterility: All media used throughout the production process is checked for sterility. Maintenance medium is incubated with and without antibiotics for 1 week and checked for sterility. The agarose gel from the 24-well plate used for shipping is also incubated for 1 week and checked for any sign of contamination. Screening for pathogens: All cells are screened and are negative for HIV, hepatitis B and hepatitis C using PCR. However, no known test method can offer complete assurance that the cells are pathogen free. Thus, these products and all human derived products should be handled at BSL-2 levels (biosafety level 2) or higher as recommended in the CDC-NIH manual, “Biosafety in microbiological and biomedical laboratories,” 1998. For further assistance, please contact your site Safety Officer or MatTek technical service. Notification of lot failure: If a tissue lot fails our QC or sterility testing, the customer will be notified and the tissues will be replaced without charge when appropriate. Because our QC and sterility testing is done post-shipment, notification will be made as soon as possible (Under normal circumstances, % viability failures will be notified by Wednesday 5 p.m.; sterility failures will be notified within 8 days of shipment). Evaluate topical formulations or actives for skin lightening efficacy with the human cell-based MelanoDerm tissue model. SCREENING OF PLANT EXTRACTS FOR HUMAN TYROSINASE INHIBITING EFFECTS. Kim1, M., Park1, J., Song1, K., Kim2, H.G., Koh2, J.-S. and Boo1, Y.C. 1Department of Molecular Medicine and Cell and Matrix Research Institute, BK21 Medical Education Program for Human Resources, Kyungpook National University School of Medicine, Daegu and 2Dermapro Skin Research Center, Dermapro Co. Ltd., Seoul, Korea.